We are happy to announce that past contributor Laurie Filipelli from Issue 16 has released her new poetry collection “Girl Paper Stone.” Laurie’s new poetry collection is now available for purchase. Congratulations Laurie! In her luminous book, Laurie Filipelli remakes the constellations of a modern life. Her poems re-draw the lines between the parts of the world, helping us to see there are no divisions between planting a plumbago and watching the passage of hateful legislation, no space between grief for a lost father and the wonder of what he’s told the speaker: “the whale’s veins are so wide we could swim/ to her heart.” By looking so tenderly and incisively at the actual experience of a life, Filipelli makes us see our own differently. Flying together, flying apart: in these poems the self is as elastic as a flock of birds cutting across the winter sky. Here, among carousel and cave, where “the bigger you spin, the lighter you fall,” we are invited into the world of mothers and daughters, fathers and grandfathers, a geography whose inhabitants bear steadily forward while always casting a long look back. As our leader advances, in an outstretched hand she presents to us the artifacts of her explorations—mirrors, keys, paper dragons—reminding us all the while to accept the dangers of discovery as well as its myriad blessings. The wisdom within these pages is hard-won and generously offered, the speaker lifting her face skyward no matter the conditions at her feet. “The future is a ballad sung in your name,” Filipelli promises, and we want to—we do—believe her. With Laurie Filipelli’s Girl Paper Stone we revel in a collection of lyric recuperations that simultaneously soothe and trouble, delight and disrupt as they marvel and lament at the fragility, wonder, and hurt of our daily lives, our dream lives, and the underground life of our divinations. These poems reject the immovable and fixed and find meaning in the always transforming torrent that is our doing and un-doing. What a great pleasure to find these poems—all at once in flight, grounded, on fire, and full of heart—elemental, beautiful, and indispensable. This Tuesday, we’re proud to feature SR contributor Laurie Filipelli reading her poem “Warrior” on our podcast. You can listen to the podcast on our iTunes Channel, #200. You can follow along with Laurie’s work in Superstition Review, Issue 16. Her Authors Talk podcast with Laurie Saurborn was released March 15, #201. 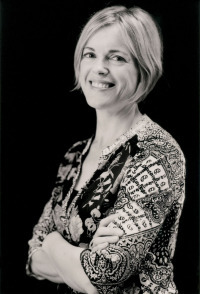 Laurie Filipelli is the author of a collection of poems, Elseplace, released by Brooklyn Arts Press in 2013. Her poems and essays have appeared or are forthcoming at apt, BOAAT, Coldfront, The Pinch, Redheaded Stepchild, The Rumpus, Salamander, So and So, and Xavier Review. 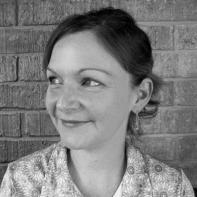 She is the recipient of a Yaddo fellowship, and lives in Austin where she works as a writer, editor, and writing coach.